Dr. Tricia Robertson is a Nashville native who completed her undergraduate and dental degree at the University of Tennessee. She graduated with high honors and received numerous scholarships and awards for clinical achievements. Dr. Tricia then pursued her orthodontic specialty degree at the University of Detroit – Mercy, where she did a master’s thesis on bite discrepancies and temporomandibular joint disorders. 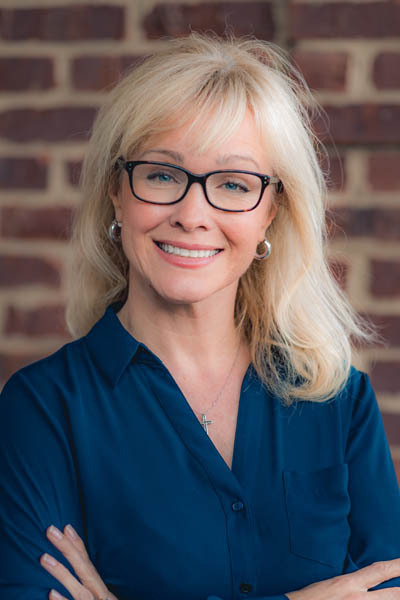 She has been with our office since 2000 and strives to provide all her patients with the most comprehensive and advanced orthodontic care available. Dr. Robertson and her husband married in 2011 and have one son: Moss III. In addition to her orthodontic practice, she and her husband own a business called The Exercise Coach. She also enjoys yoga, sailing, and she loves to travel. One of her favorite vacation spots is Highlands, NC.